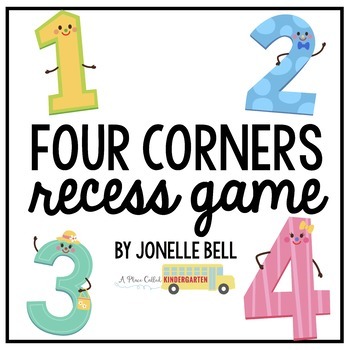 Four Corners is our favorite indoor recess game. 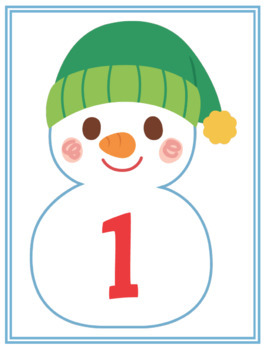 This download includes numbers holiday themed cards to mark the corners of your classroom for this game. 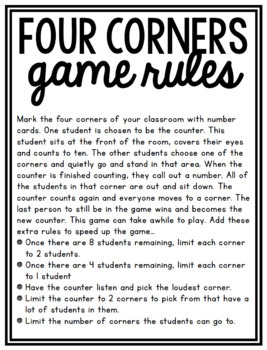 Mark the four corners of your classroom with number cards. One student is chosen to be the counter. This student sits at the front of the room, covers their eyes and counts to ten. The other students choose one of the corners and quietly go and stand in that area. When the counter is finished counting, they call out a number. All of the students in that corner are out and sit down. The counter counts again and everyone moves to a corner. The last person to still be in the game wins and becomes the new counter. Check out my Reader's Theaters. Check out my Math Activities. Check out my Anchor Charts.